“Husain(AS) is the lamp of guidance and the ark of salvation”. This is a statement of holy Prophet(S) about Imam Husain(AS). Guidance is something more related to the affairs in this worldly life. We require guidance to recognise the truth, or to find the way, or to save ourselves from falling into the pit of sins. Without guidance, the life in this world cannot be lived properly. Guidance is the cornerstone of fruitful life. Salvation is related to success in the Hereafter. Without salvation in the Hereafter the life of this world is in loss. If somebody fails to achieve salvation in the Hereafter, all his efforts in this world’s life have gone in vain, and loss is the sum total of such a person’s life. But the salvation cannot be achieved until we have been properly guided and have led our lives in harmony with the virtuous guidance. The guidance and salvation are connected. A misguided person cannot reach salvation, and the one who has reached salvation must have been rightly guided. The glorious and august personality of Imam Husain(AS) provides the solution to the both problems. He is a lamp of guidance in this world’s life, and the ark of salvation in the Hereafter. The lamp shows the path to others and without the lamp knowing and leading one’s life on the right path is almost impossible. The ark of salvation saves from falling in the abyss of hell. Those who have embarked this ark will definitely be saved. The life of Imam al Husain(AS) was immersed in the love of Allah. Each action of his life is a testimony to this fact. Holy Prophet(S) introduced Imam al Husain (and also Imam al Hasan(AS) on many occasions and he proclaimed to the Muslims to love both of them : “O Allah I love both of them. Therefore love them and love whoever loves them. 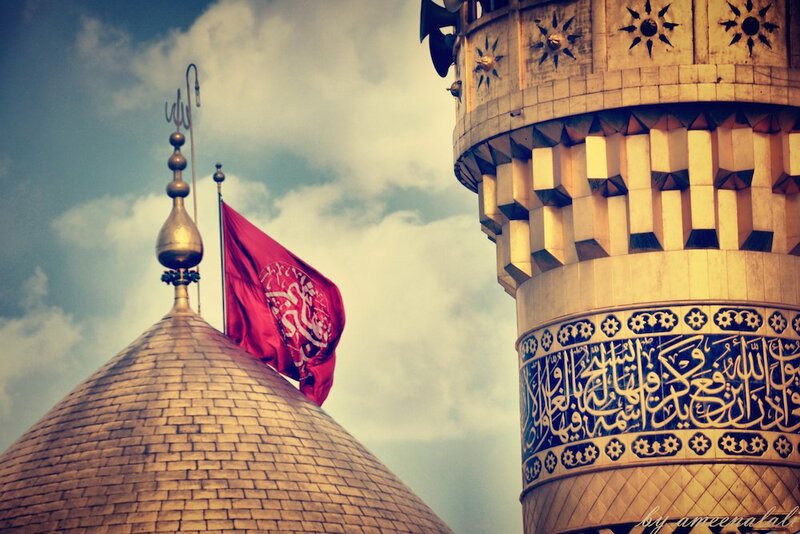 Whoever loves al-Hasan and al-Husain is one whom I love. Whomever I love, Allah loves, and whomever Allah loves, He will cause to enter Heaven. Whoever hates them, I hate and Allah hates, He will cause to enter the fire. These two sons of mine are two plants of sweet basil(to sweeten) the world” (as quoted in Kitab al-Irshad, by Shaykh al Mufid). “Everyone who wants to see the most beloved person in the heavens and the earth should look at Husayn”. Ayatullah Ibrahim Amini in his book Imamat and the Imams has quoted more narrations on the greatness of Imam Husain(AS). Another good analytical discussion on one of the manifest attributes of Imam al Husain(AS) is the Comparison between Imam al-Husayn’s (‘a) Path and That of Other Imams (‘a) done by Martyr Ayatullah Murtuza Mutahiri. It’s an interesting discussion which provides answers to many questions. Reading this work can clear some of our doubts on the difference of approach of Imam al Husain(AS) vis-a-vis other Imams(AS). This clearing of doubts is very important in correctly receiving the light from the Lamp of Guidance. May Allah purify ourselves and make us receive guidance from Imam al Husain(AS), and so that we could be among the ones who will embark the Ark of Salvation!